Sadly, too many Americans would rather follow Jon Stewart’s example of political cynicism than do the difficult mental work of formulating and advocating clear principles. Today’s political trend reflects, perhaps, a broader cultural phenomenon. More and more, the symbol of our age has become the modern-day hipsters, who proclaim their ideal of opposing consumerism and materialism, but who can’t live without their American Apparel or iPhones. It’s alright to compromise like this, they think, provided that they embrace materialism ironically. And so we see the proliferation of kitschy eyewear, 1970s mustaches, Aston Kutcher trucker hats—and TV opinion programs masquerading as comedy. Of course, there’s nothing wrong with comedy. But a mark of wisdom is knowing when it is appropriate to be unserious, and when it isn’t. It is the casual or mocking treatment of political ideology or of ideas in general that is of special concern. We need consistent principles to navigate confusing everyday situations. The principles of biology, for example, are non-negotiably necessary to achieve the goal of health through proper nutrition, exercise, and medicine. Similarly, moral and political principles are necessary to develop a healthy character and live in a healthy society. Why would non-negotiable principles be a laughing matter in the achievement of these goals? Unfortunately in our age, staunch integrity to principles is regarded as a mark of “extremism,” or worse. Tea Partiers who peacefully assemble to advocate the principle of limited government are compared to terrorists. Jon Stewart and Stephen Colbert mock ideological consistency, equating it with insanity (if their “Rally to Restore Sanity” is an indication). Meanwhile, “serious” pundits like Olbermann and Beck play into the hands of caricature artists, as their attempt at being serious is little better than titillating bluster devoid of intellectual content. The New York Times author criticizes Lee Siegel for not giving his readers any practical advice on how to be more serious. Perhaps the advice they need is on the everyday importance of ideas and philosophical principles. 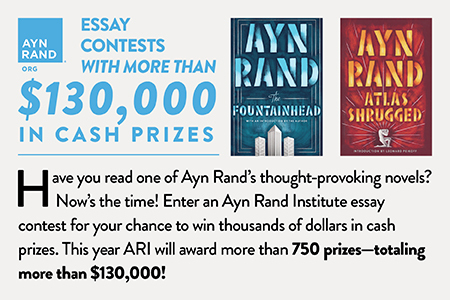 For more on this, read the rest of our article, and its primary inspiration, Ayn Rand’s Philosophy: Who Needs It. Creative Commons-licensed picture from Flickr user erin MC hammer. 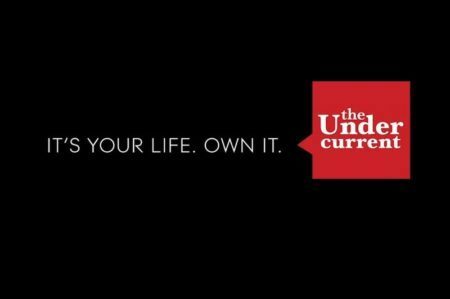 Announcing The Undercurrent's Summer Distribution Story Contest Winners!